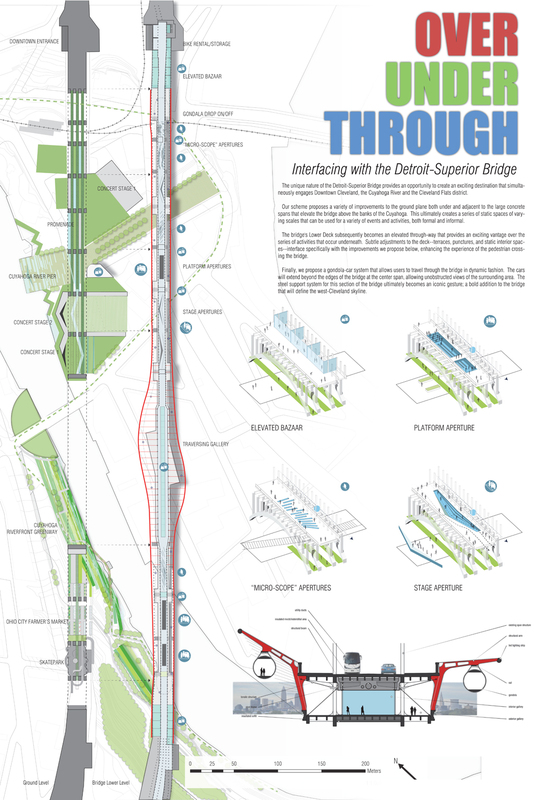 The beautiful structure of the Detroit-Superior Bridge provides an opportunity to create an exciting urban destination on numerous planes. Our scheme proposes a variety of improvements to not only the lower level of the bridge, but also on the ground plane both under the large concrete spans elevate above and shelter the banks of the Cuyahoga. This creates a series of static spaces of varying scales that can be used for a variety of formal and informal activities. The bridge’s Lower Deck becomes an elevated walk-way, providing vantage points over the series of activities that occur underneath. Adjustments to the deck – terraces, punctures, and static interior spaces – respond to the improvements we propose below, enhancing the experience of the pedestrian crossing the bridge. Finally, given the mile-long walking distance of the bridge, we propose a gondola-car system that allows users of all ages to travel through the bridge in dynamic fashion. 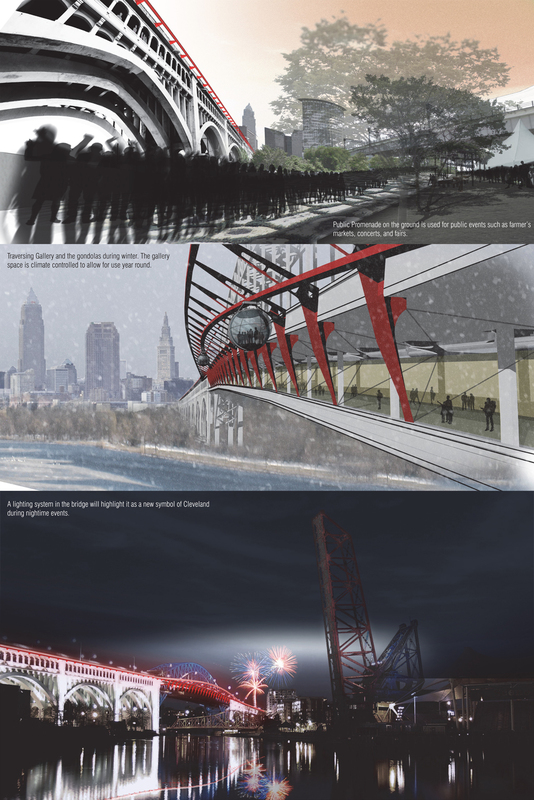 The gondolas will bring occupants beyond the edges of the bridge, allowing unobstructed views of the surrounding area. 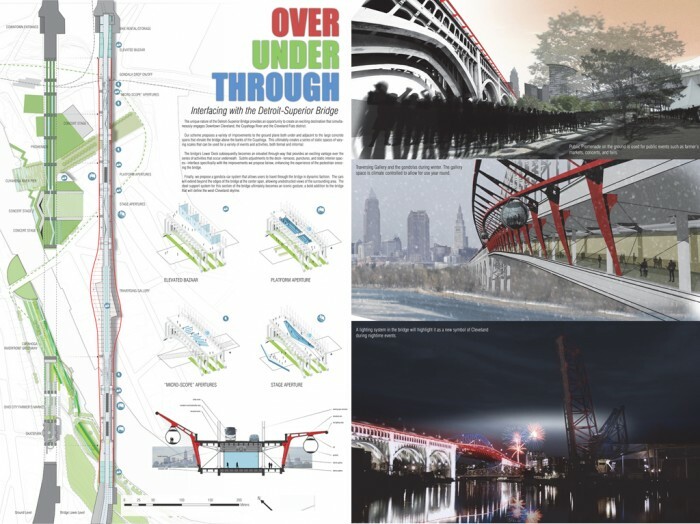 The steel support system for this section of the bridge also becomes an iconic gesture; a bold addition to the bridge that will define the west-Cleveland skyline.